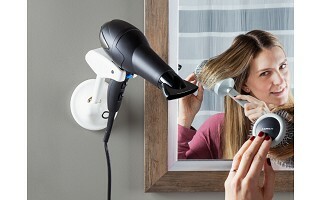 Bestie Brands Maker Jennifer West created the wall-mounted hair dryer holder for her grandmother to use when she lost some mobility after a stroke. Jennifer, a hair stylist, soon saw its usefulness in helping to blow dry her own hair in less time. While the mount securely holds a dryer, it can also pivot to get the just-right angle while you’re styling—which is made easier now that your hands are freed up. It’s made to hold most standard-size dryers and when you’re done doing your ‘do, the blow dryer can live in the holder to free up counter space. 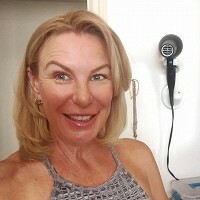 Are there any hair dryers that the holder doesn’t work with? The holder can hold dryers of most sizes and weights, however travel-sized dryers and dryers with buttons located on the side are not recommended for best results.